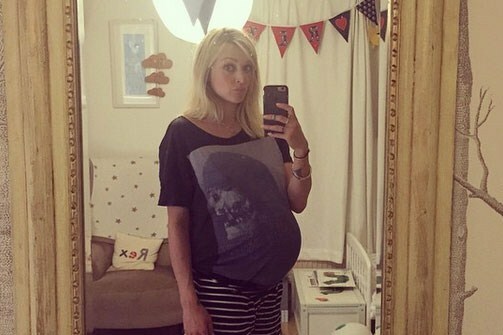 Fearne Cotton and I were both pregnant with our 2nd babies in 2015; and that wasn’t all we had in common. Following traumatic experiences during our first births we both used Hypnobirthing to help us to heal during our second pregnancies; enabling us both to go on to experience positive and empowering births second-time around. I totally identify with her when she described Honey’s arrival as a ‘positive experience’ which was ‘intense and euphoric’. I’m not a celebrity but I too invested in my birth and the return on my investment was more than getting amazing value for money – it gave me the most life-changing experience I have ever had. I truly enjoyed my labour and giving birth and feel that by being calm and feeling in control I was rewarded with the most comfortable and profound experience which was beyond anything I could imagine. Coupled with being at home with my incredibly supportive husband and our two (yes, two!) fantastic NHS Midwives in attendance fully focused on caring for me and our baby I couldn’t have imagined a better birth for me. Fearne puts it well when she said ‘ it’s important to remember how strong us women can be and what our bodies can do’. 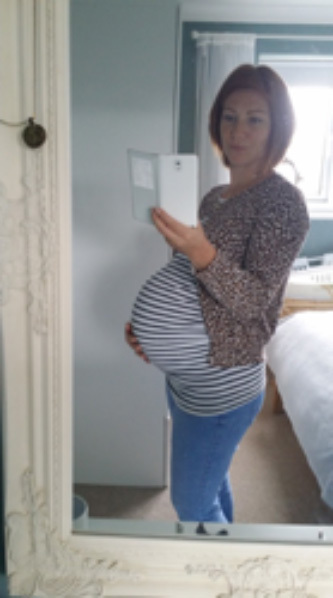 Hypnobirthing put me back in control enabling me to trust in my body and baby completely. Replacing any negativity in my mind using simple techniques and replacing these with positivity means I now look back on my pregnancy with such fond and happy memories. What can be an anxious time for any parent-to-be became so sacred and special. Our classes brought me and my husband so close and helped us both to bond so well with the baby even before birth. The birth itself couldn’t have been more perfect. (Read my full birth story here: link) Like Fearne and other Hypnobirthing women I owe so much to my daily practice, relaxations and affirmations. I hung affirmations in my living room where I went each evening to relax. Fearne had her affirmations printed on small cards so she could carry them around with her. That’s the beauty of KGHypnobirthing, which is the home of Hypnobirthing and the course both Fearne and I took. It can be tailored to you and your lifestyle unlike some methods out there which like you to fit in with them. Fearne sums it up well when she said ‘each birth story is miraculous and amazing however it turns out. I just feel grateful I had a positive experience’. I totally hear her – a positive experience is the pinnacle of what Hypnobirthing gives and is available to us all. After experiencing such a perfect birth with my second I then went on to do it a third time which was a very different birth but no less amazing! (Read about my speedy arrival here) So amazing in fact that it gave me the push I needed to train as a Hypnobirthing Teacher myself and from here Rushes Hypnobirthing was born. I am on a mission to empower as many women as I can to have a calm, comfortable and beautiful birth – everyone deserves to have a positive birth. It could even make the world a better place to be born into. For more information on Rushes Hypnobirthing classes click here. To find out what Rushes could do for you click here.